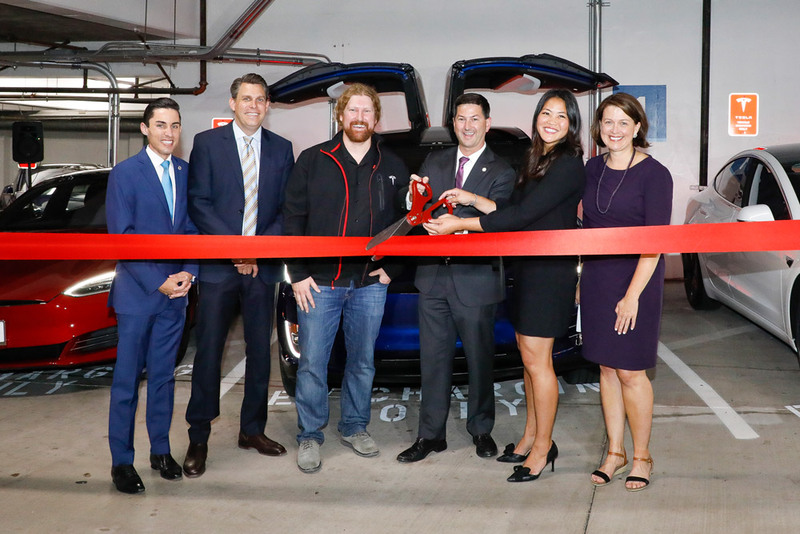 SAN DIEGO, CA -– In an effort to help drive urban growth while providing first-class amenities to its tenants, EMMES Realty Services of California LLC has installed 16 Tesla Superchargers in the newly revamped 6th & A Parking structure in downtown San Diego. 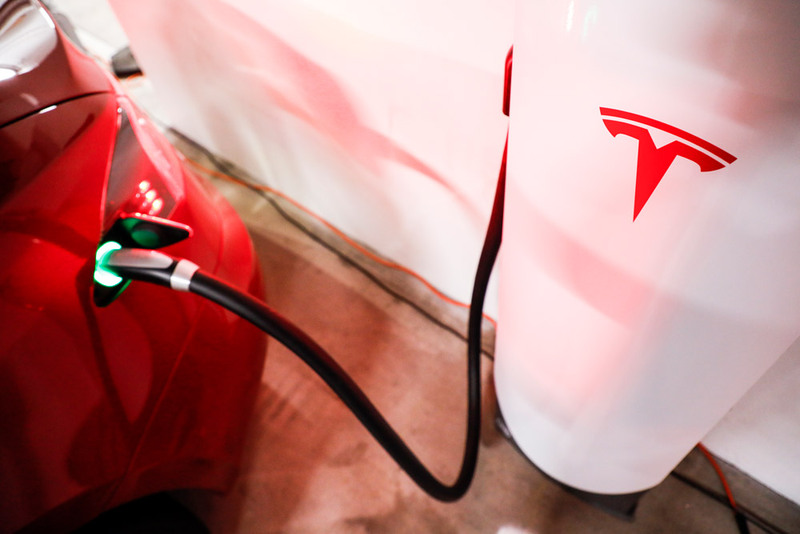 The urban Tesla Superchargers, which are open to the public and operated by Tesla, are the first to be located in downtown San Diego, and the second large scale parking location in the region. The installation features Tesla’s new 72kW Supercharger stations, which are optimized for deployment in dense urban areas. 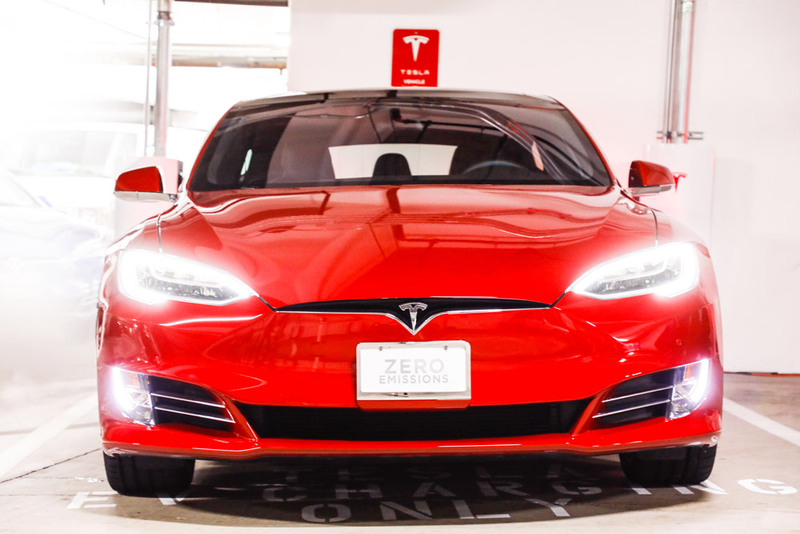 After the 6th & A installation – which is expected to be a pilot for urban areas – Tesla announced it will place 10 more stations with over 150 Superchargers stalls in the greater San Diego area. Tesla’s new 72kW Supercharger stations, which are optimized for deployment in dense urban areas. Located on the southwest corner of 6th Avenue and Ash Street in Downtown San Diego, 6th & A is within close proximity to EMMES’ premier properties, 701B and 707 Broadway. In addition to being close to these properties, 6th & A is also surrounded by several million square feet of office space. The retail space is located primarily along 6th Avenue and tenants include Domino’s Pizza, a hair salon, a convenience market, and other local retail services/restaurants. Tesla using the new Tesla Supercharger. The eight-story parking structure, rebranded as “6th & A Parking,” is a 580-stall structure that has been transformed from a dim, rundown building into a vibrant and tenant-friendly parking garage. So far, improvements include interior and exterior painting, refreshed lobby; elevator modernization; exterior signage and graphics; LED RGB exterior lighting; and new security cameras. Tenants who want their cars spiffed up while they work can even utilize a new auto detailing shop. The parking structure has about 14,277 square feet of ground floor retail space. Watch the KUSI coverage of the Tesla Charging Station Ceremony. Watch the KFMB coverage of the Tesla Charging Station Ceremony.